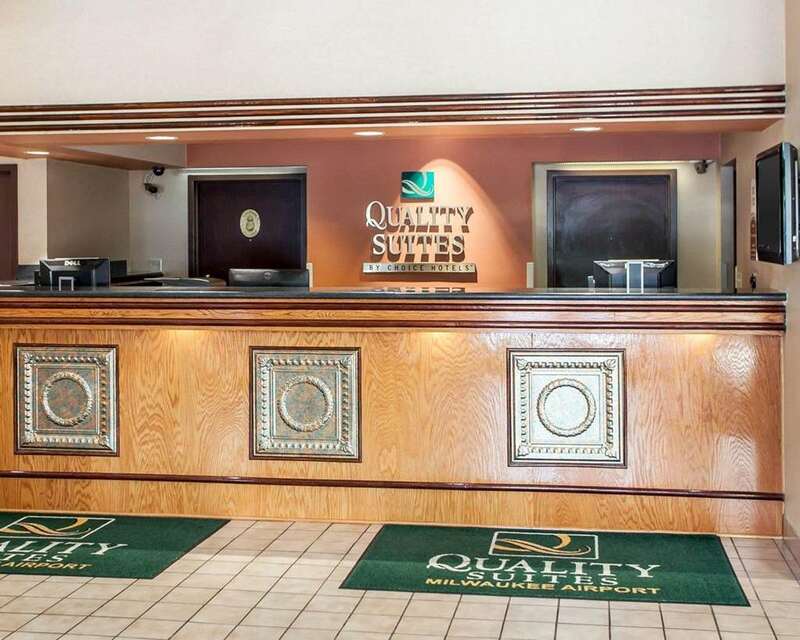 Get more for your money at the Quality Suites Milwaukee Airport hotel in Milwaukee, WI. This smoke-free hotel is located near Miller Park, Lake Michigan, Marquette University, Milwaukee County Zoo and Milwaukee Public Museum. Bradley Center, Milwaukee Art Museum and the Summerfest music festival are also close. Enjoy amenities like free breakfast, free WiFi, free airport transportation, free weekday newspaper and an indoor pool and a hot tub. Guest rooms feature a flat-screen TV, refrigerator, microwave and coffee maker. Also, earn rewards including free nights and gift cards with our Choice Privileges Rewards program.